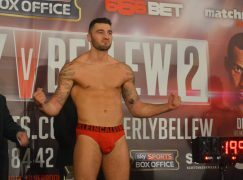 On the undercard of Warrior Promotions’ ‘Enter The Dragon’ show at the Newport centre, Maerdy’s middleweight Alex ‘Bad News’ Hughes (6-0, 3KO) continued his development as one of Welsh boxing’s most tasty talents with a dominant victory over Telford’s crafty Kieron Gray (8-45-1, 1KO), coasting to a 60-54 clean slate. The 21-year-old instantly acquired front foot leverage and encouraged Gray to squeeze up behind a tight defence, leaving little space to target. When the unbeaten switch-hitter could, he would find room around Gray’s guard by landing thudding body shots on both sides of the ribcage. Any operator decorated in pink may feel pressure to impress but Hughes remained relaxed as he worked his way around Gray’s expected attempts to spoil the action and slow the pace. Eager to unlock Gray’s defence, Hughes would often shuffle to his left to land his favorite hook to the body. At times, it bordered below Gray’s belt and referee Williams took exception to the tactic, warning Hughes that it wouldn’t be tolerated, even if it wasn’t deliberate. Clearly slowing, Gray was forced to survive the later sessions under some stress but Hughes let him off the hook, often resulting in prompts from his corner who insisted that he threw less single shots and longer combinations instead. 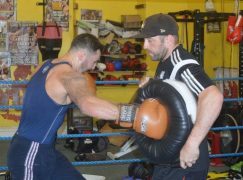 Upping his activity, Hughes enjoyed the final two rounds but still stayed in second gear, a reflection of the promise he provides. 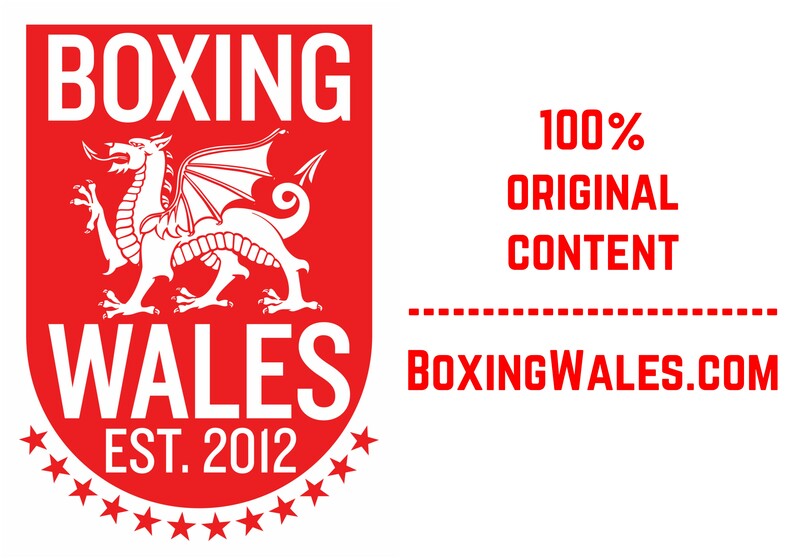 Pontyberem’s prospect Zack Davies (4-0) showed why his trainer and former world title challenger Gary Lockett rates him so highly as the lightweight didn’t let up against a tough Fonz Alexander (3-19, 1KO), taking a 60-55 decision win on Reece Carter’s tally. From the opening bell, the heavily inked Alexander was further tattooed by a series of body shots. The away fighter would go for a walk when he could, which was often only when Davies allowed him to before the 22-year-old launched another wave of attack. 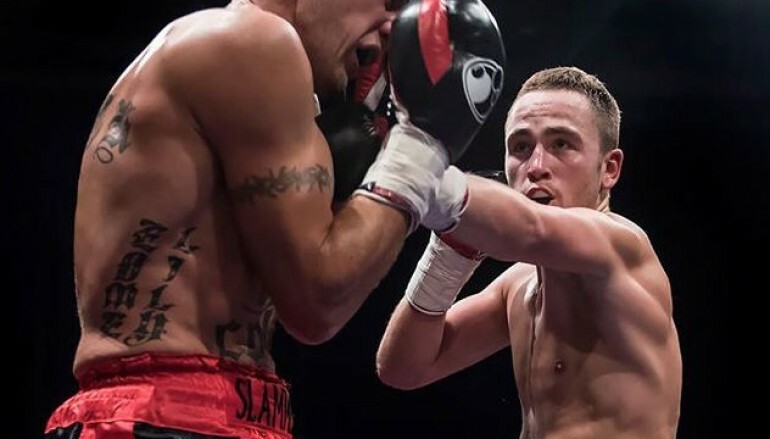 Davies operated behind a watertight guard, walking Alexander back to the ropes with ease, not even needing his own jab at times and when Alexander did muster more ambition, it left room for the West Walian to counter. Alexander would flick out hopeful short hooks, only to receive a reply of right crosses and Davies’ own beloved left hook. The 2014 Commonwealth Games representative made his mark at the end of the third round and launched four phases on Alexander. Each attack increased in intensity but when Alexander reached the halfway mark of their rounder, Davies recognised that he wasn’t going anywhere and slowed his pace. 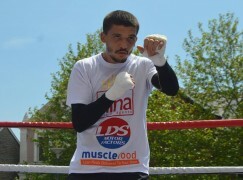 There was more method to Davies’ output in the second half of the fight and he racked up round after round, taking his total time spent in the ring over the last seven months to 20 rounds. Newbridge’s middleweight Bradley Pryce (36-20, 19KO) stopped the rot to record his third win from the last 13 appearances, overcoming Trowbridge’s tough Dan Blackwell (6-48, 1KO) via the 60-54 scorecard of referee Martin Williams. After a tasty first round where both boxers walked on to flush shots up close, Blackwell came off second best as an old nose injury reappeared and began to leak claret. Sensing blood, Pryce applied the most blatant of pressure and charged at Blackwell for the remaining five rounds, prompting several warnings about the positioning of his head. The heavily bleeding nose was an obvious cause of discomfort for Blackwell, brother of British middleweight champion Nick, it was almost an omen as he suffered the same injury at the same venue in his only stoppage loss ever, to Clydach Vale’s Liam Williams in 2013. Things would get bloodier in the final two rounds when Blackwell picked up a cut over his left eye, this time courtesy of a precise Pryce punch, which was met with understandable winces and grimaces. Blackwell was never in danger of being ended early this time, though. Whenever the referee would come closer to take a more detailed look, the visitor would reply to Pryce’s wide hooks and effective flurries with quick and short straights to satisfy the official that he was okay to carry on. Pryce, a former Commonwealth light-middleweight champion, would take the majority of those replies on his gloves and he prevailed on pure volume to fight another day of his 16 year career. 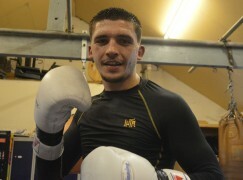 In the show’s opening contest, Swansea’s returning middleweight James Todd (4-2-1) overcame a tricky Micky Mills (1-11, 1KO), prodding and poking his way back to activity with a 40-38 decision while shredding ring rust in the process. Mills, a typically cagey journeyman, circled the edges of the ring with caution in the opener, occasionally testing Todd with wide hooks that partially clipped the 27-year-old if he held his feet for too long. Apart from those moments when Todd was a little late to leave exchanges, it was one-way traffic for the Welshman, who owned an eight-pound weight advantage. In the middle sessions of the four rounder, the ones that referee Martin Williams is likely to have scored even, a casual Todd continued to approach behind a low lead and it didn’t get any higher, despite repeated warnings from Mills. The visitor’s momentum steadily grew; matching Todd’s work rate and it was only interrupted when Todd landed an accidental low blow. Both took turns to apply pressure but with little success as both were equally able to avoid the other’s output. However, Todd took over as the third round ended, trapping Mills in the blue home corner and rallying to the bell. Mills, a southpaw with awkward waist movement, ducked and dodged his way out of danger in the fourth round and he was forced to finish the fight on the receiving end of a series of body shots from Todd that ensured he took the decision.